So let's push vaccines aside for a moment and change the discussion to bring the focus back to where it should be: having a relationship with your veterinarian and working together to achieve and maintain the best possible health, happiness, comfort, and well-being for your cat. To that end, I offer you five clear-cut, non-vaccine-related reasons why your cat 100%, unequivocally, and without doubt needs and benefits from regular veterinary evaluations. I hope that these will help you appreciate that there really is no way to overstate the importance of yearly (or in some cases twice-yearly) veterinary wellness check-ups to the health, comfort, and overall well-being of your cat. Or, for that matter, to the bond and time that you share with your cat, as well as your efforts to save time and money on your veterinary bills. Regular veterinary exams can help with your cat’s socialization. 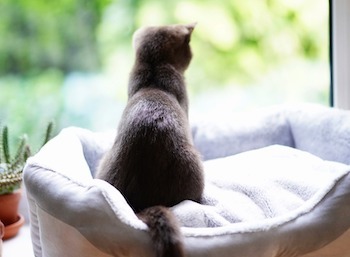 From new people and places to new sounds and smells, these experiences can help your cat better adapt to “your world,” decreasing their stress and anxiety and improving their fit with you, your family, and your friends in the process. This is esepcially true with kittens during their early socialization period, but it's also the case with adult and even senior cats. Of course, this only works if your cat has good, low-stress experiences at the vet. So check out these articles to see how you (and your vet) can remove the fear and anxiety from your cat's vet visits and how to help your cat love their carrier. Regular veterinary visits will more quickly reveal hidden medical conditions that might be painful, distressing, or even potentially-fatal for your cat. And this is the case even if your cat lives alone, is exclusively indoors, or lives on the 12th floor of an apartment building. Cats are masters of hiding a multitude of problems — certainly too many to list in their entirety here. But a few examples include pain, high blood pressure, overactive thyroid gland (hyperthyroidism), declining kidney function, arthritis, diabetes, cancer, heart murmurs and/or arrhythmias, and tooth problems, like "resorptive lesions." This is but a (very) small sample of all the problems we vets look for in our examination, history taking, and diagnostic testing. Earlier detection and diagnosis often translates to more treatment options, better prognosis, lower costs, greater peace-of-mind, and improved comfort and quality of life for your cat. Regular veterinary examinations can help prevent emergencies from developing, many of which can be expensive; debilitating; stressful; painful; and, in some cases, even fatal. 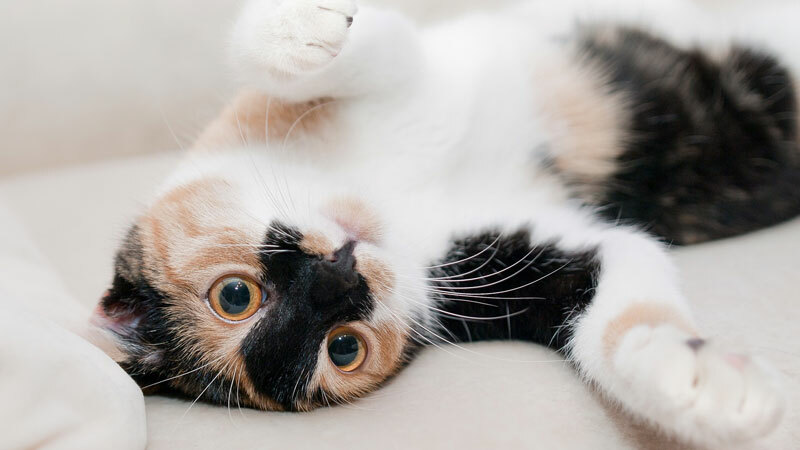 For example, cats with certain types of heart conditions are at increased risk of suffering from a severe, rapid-onset, and painful condition known as “saddle thrombus” (more correctly called “Aortic Thromboembolism,” or ATE). Similarly, undiagnosed and therefore unmanaged diabetic cats are at increased risk of developing a debilitating and fatal (if untreated) emergency condition called “Diabetic Ketoacidosis.” Cats with tooth problems that affect the dental structures below the gum line are at risk of suffering from the pain of a tooth root abscess, an infection resulting in a painful swelling that often presents as a big lump under one of their eyes. In all of these cases, and in many similarly common scenarios, these emergencies can all be avoided, but only if the underlying conditions were previously detected at a veterinary check-up and proper management was undertaken. Well, there they are; five reasons why your cat will benefit from yearly, or even twice-yearly, wellness check-ups with your veterinarian. This is regardless of their age, the amount of time they spend outdoors, whether they are around any other animals, and their vaccine needs. Again, my focus on non-vaccine-related benefits isn’t because vaccines are unimportant — believe me, they are very important. Instead, vaccines need not, and should not be the primary focus of a discussion about the importance and value of routine veterinary evaluations. So, I implore you, if your cat hasn’t been seen by your veterinarian at least in the past 12 months, please call right now to set up an appointment for a check-up. Similarly, if you have a cat-owning friend, coworker, or family member who hasn’t had their cat evaluated by a veterinarian in the past year, or who doesn’t believe in the value and importance of a veterinary wellness check-up, please share this article with them. Their cat will thank you; and in the end, your friend will, too.